Located in five 18th and 19th Century Palaces along the Grand Canal, the Westin Europa & Regina is a luxurious hotel offering a high standard of services. 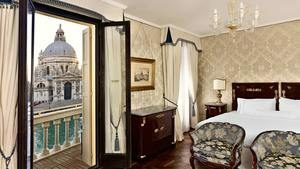 Once owned by a renowned Italian family, the Palazzo Tiepolo was converted into a magnificent hotel in the 19th Century. Famous guests from the past include the impressionist painter Claude Monet. 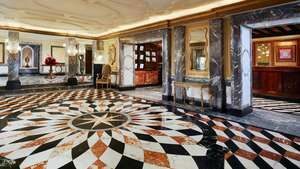 The Westin Europa & Regina is well located, within walkingdistance of the characteristic places of Venice. The Palazzo Ducale, Saint Mark’s Basilica and its Belltower, as well as the Bridge of Sighs are just a few of the astounding places you will have the chance to see. Walking through the picturesque streets you will be fascinated by the Italian cultural heritage. A few steps away from the Rialto Bridge, you will find the colourful vegetable, fruit and fish markets. Vaporetti boats will take you for a tour on the Grand Canal, a charming way to discover the enchanting Venice. Traditional Venetian food is available at the elegant restaurant “La Cusina”. Since 2006, Chef Alberto Fol designs quality meals with fresh seasonal products. The view on the Santa Maria della Salute Church adds an authentic romantic touch to your meal. You can bring back a taste of Italy learning how to make Venetian dishes with a cooking class. 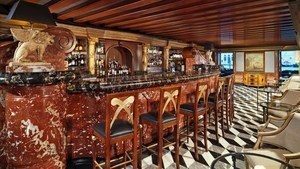 You can also enjoy an afternoon tea or an aperitivo at the intimate and friendly Tiepolo Bar. The Westin Europa & Regina Hotel provides meeting and reception spaces for memorable events in an unconventional setting. 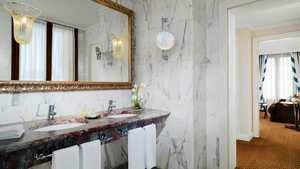 The luxurious room are decorated in a 18th Century authentic Venetian style or in a traditional period style. They are elegant and well-equipped. Room grades include Classic Single, Classic Double, Deluxe Double, Grand Deluxe Double, Premium Deluxe Double, Stunning Grand Canal View Double, Unique Grand Canal Terrace Double, Deluxe Suite, Luxury Suite, and Deluxe Terrace Suite.